High-quality military clothing works very well as outerwear, as evidenced by the Helikon Alpha Tactical sweatshirt also available in our store. We provide all clients with a full range of colors and sizes, so that everyone can find a model in their preferred shade that fits the silhouette. 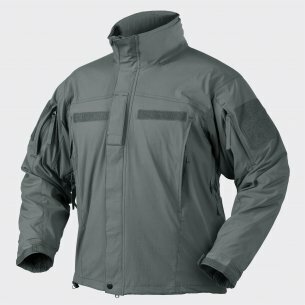 Is the Helikon Alpha Tactical jacket durable? The renowned producer of sweatshirts from the Helikon Alpha Tactical collection decided to sew them on the basis of strong, reticulated fleece. Polyester material is not only very comfortable to wear, but an additional guarantee of satisfactory durability. Thanks to this fleece military sweatshirt is a great choice for survival activity in difficult terrain. The strong fabric is also characterized by excellent resistance to adverse weather conditions, which will be an additional advantage for those who love walking or training in the open air. It is worth noting that the material is both durable and light, which is why the Helikon sweatshirt can be a practical companion for many trips. The producer provided her a mesh lining that separates the fleece from the body in strategic places. Many amateurs of military clothing are interested above all in such clothes that would provide the best camouflage in the field. In this respect, the proposals maintained in the camo style, in which the green tones predominate, deserve special attention. 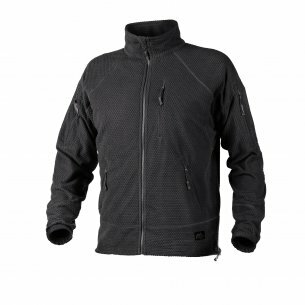 Thinking about such design, it is worth distinguishing the Helikon Alpha Tactical collection, which includes, among others, a men's sweatshirt with a military design. Characteristic spots in various shades of green help to hide on large forest areas. Such clothing will certainly meet the expectations of nature enthusiasts who want to observe animals from hiding. Not only the camo motif guarantees effective camouflage. 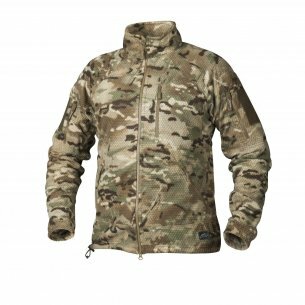 Our military store also provides one-color sweatshirts from the Helikon Alpha Tactical collection, which can not be denied camouflage character. We offer clothes in dark graphite, olive green or gray-green color, among others. 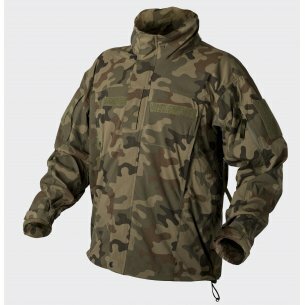 A camo or one-color blouse from the Helikon Alpha Tactical series is irreplaceable in maintaining the body's temperature during inclement weather. In practice, it works great in the role of undersuit, which is why it can be treated as a warm jacket in spring or autumn. On cold days, it can be worn with a combination of an additional layer of outerwear. Because it is clothing made of high quality fleece, another advantage is the guarantee of very good protection against the wind. Certainly many users will appreciate the presence of a high collar with a practical chin protection. Thanks to this solution Helikon Alpha Tactical sweatshirt perfectly protects the neck against cold and even with a capricious aura you can completely give up the scarf. Men's sweatshirt zipped - why is it so practical? Thinking about physical activity, you should choose clothing that does not restrict movement and provides a sense of comfort even with more intense exercise. This group includes the Helikon sweatshirt, which helps maintain thermal balance. All this thanks to the practical mesh as a lining ensuring good air circulation. This type of clothing is an excellent choice for people with a tendency to excessive sweating, which depends on the outer clothing permeable to the air. 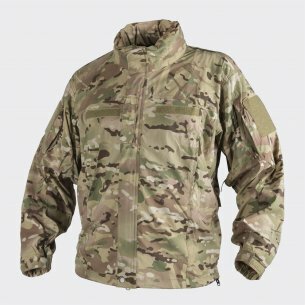 At the same time, it is worth noting that the Helikon Alpha Tactical jacket from the outside effectively protects against wind. Its practical nature is also influenced by a convenient clasp in the form of a two-way zipper. An undoubted advantage are also pockets arranged on the body and on the sleeves. Their location ensures full comfort of use and allows you to secure documents or other valuable things - each pocket has a zipper. Men's sweatshirts from the Helikon Alpha Tactical collection have a classic cut, which further enhances the comfort of wearing. They can easily be adapted to the specificity of the figure, thanks to the practical adjustment of the circuit using the puller with stopper. Strippers are also found on the cuffs - thanks to them, a size-matched military sweatshirt looks good on every figure. 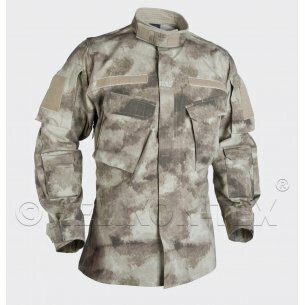 We encourage you to buy not only military clothing enthusiasts - Helikon Alpha Tactical polariets also prove themselves in everyday stylizations.